Hi, and thank you for taking the time to read this. As you may know, David has suffered a heart attack and had open-heart surgery on May 11, 2015. David has endured many complications after his surgery and has been in ICU for over a month now. He's been in constant agonizing pain. When he sees some progress, something seems to go wrong. His spirits are down and he’s having a hard time fighting for his life now. Recently we found out that David has a hole in his heart called a VSD which caused the sever edema throughout his body. He had two risky surgeries, and luckly made it through. He's been intubated for over two weeks and unconscious. His insurance isn’t great and the medical bills are starting to come in, and this surgery may not be covered. Even if insurance covers everything, all the after care will be out of pocket such as having a home nurse and physical therapy. He may need to go to rehab for 6-12 months, and learn basic functions. David has touched many lives through his music, and by being there for his friends and family. If David has impacted your life, please share your story on this site and share this page with your Facebook friends. 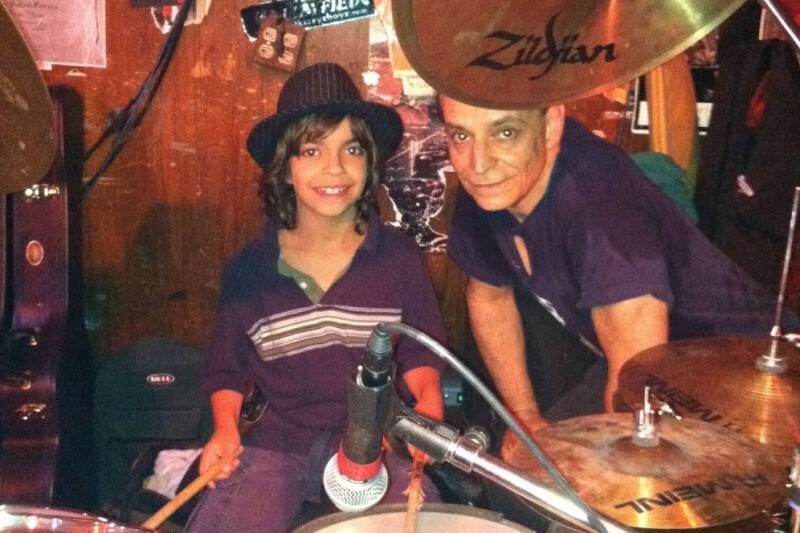 We all look forward to seeing David's smiling face again and pounding on those drums! Even though David is my ex, he’s been my best friend throughout the years, and has been there for me. We have an amazing 14 year old son, that needs his dad to make it through this. Any amount you wish to donate will be deeply appreciated, along with your continued positive energy for David's full recovery. David is soaring high up in the heavens with his big Eagle wings protecting us. All the donations you have made will now go towards his final resting place. Thank you for your continued love and support during this difficult time. David is still in ICU and fighting for his life. I got the dreaded call that the doctors want to meet with me. I was told I'd be meeting 2 doctors and it ended up being 5 doctors. That didn't feel too good. I was told that the end is near and to prepare. I asked to speak to the main doctor who's known around the world as the best cardiologist. I waited for hours but was determined to meet with him. I asked him medical questions, moral questions, religious questions, and honoring David's wishes questions. He told me David has an infection and his liver and kidneys are failing. They don't know the source of the infection. He said that David has a 30%-40% chance of survival. I said then let's focus on that. PLEASE PLEASE PLEASE help me in any way you can to make this miracle happen. Just had a meeting with three doctors. The CT scan shows no stroke, which is good. He had an EEG today and we are still awaiting results. Regardless of the results, he's had the breathing tubes down his throat for too long, therefor he will get a Tracheotomy and breathe that way for a while. The Tracheotomy, can later be removed and the hole will close up. He's been getting fed through a tube in his nose, and that's going to have to be removed too, and he'll get a PEG tube in his stomach so he can get nutrition. This is planned to be done tomorrow. I hope that this will make a difference for David's recovery. He's still unconscious and not responding. Please keep sending David healing energy. Aviva, I know it is now much but I know every bit helps. Trying working with your temple for some help too. He was a great person and it is such a loss for everyone. Will you be updating us with the funeral arrangements? Take care.